A driver in Northampton says she feels “disgusted” by the way the county council has introduced a new parking permit policy in the town. Chantelle Nero parked near to her grandparents’ house, who live in Louise Road, on Monday and displayed her visitor’s permit on her dashboard. However, when she returned to her car 20 minutes later, she had been given a £70 parking ticket for “parking in a permit space or zone without clearly displaying a valid permit”. Ms Nero has since found out that new parking rules were introduced on Monday which means that green or yellow visitor permits are no longer valid. Northamptonshire County Council introduced a new parking permit policy on September 18, and the cost of visitor permits has increased from £25 to £35. But Ms Nero said she was unaware of the change as her grandparents had not been informed by the council. She said: “I’m not so much annoyed that I received the ticket, after having lawfully placed a permit in my car to avoid such a thing. But I’m more disgusted by the way the council has implemented this change. 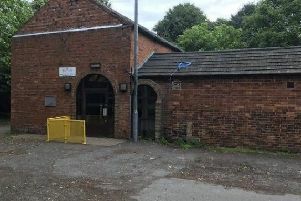 “After having read the 27-page Parking Policy, that the council so kindly provided a link to for people to peruse, nowhere did it clearly state the date to which the new changes were to be implemented for the visitors permits. It simply stated the fees for all the permits etc. A Northamptonshire County Council spokesman said residents had the opportunity to take part in two separate public consultations since July 2014, and all permit holders were sent a letter to notify them of the forthcoming new arrangements in August. The spokesman said: “Our parking permit review has been underway since July 2014 and since then we have communicated extensively with permit holders. “We featured information on our website and placed flyers on vehicles parked in permit areas and posters on lampposts to publicise the new permit scheme. Ms Nero said she was going to appeal against her parking ticket.